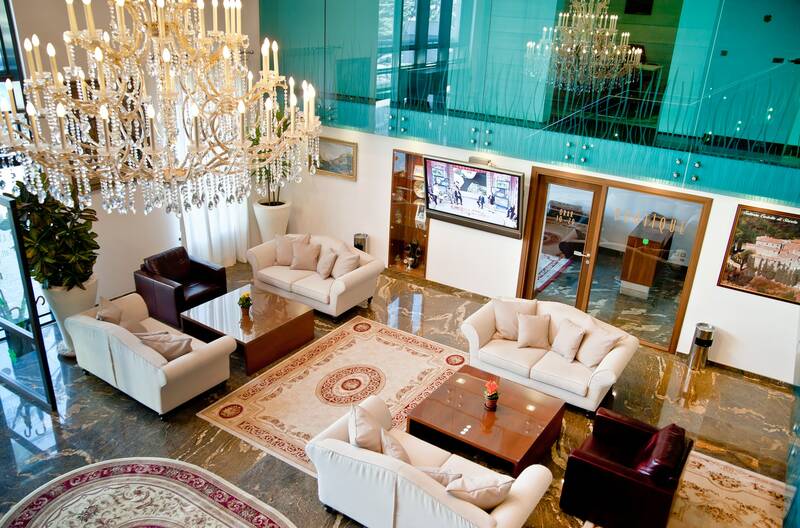 Hotel Beyfin****, located the city centre of Cluj-Napoca, has 28 rooms and 3 suites, a spacious lobby, one fine dining restaurant, a belle view rooftop grill-bar and a well-equipped conference area. Complementing the hand-made Italian sleek wood furniture, the elegant decoration, entirely made in Italy, is labelled by the most lavish Swarovski chandelier coming directly from Vienna, floors and staircases made of unique Brazilian granite and paintings made expressly in Venice by a local artist. This makes the hotel a very typical Italian styled luxury boutique hotel in the heart of Cluj-Napoca, where you can feel like home. The Beyfin Group has chosen to have this hotel in the city center, the location being highly convenient for guests to take a visit to the old historic center, with great restaurants and bars, as well as meeting business relations at nearby offices. 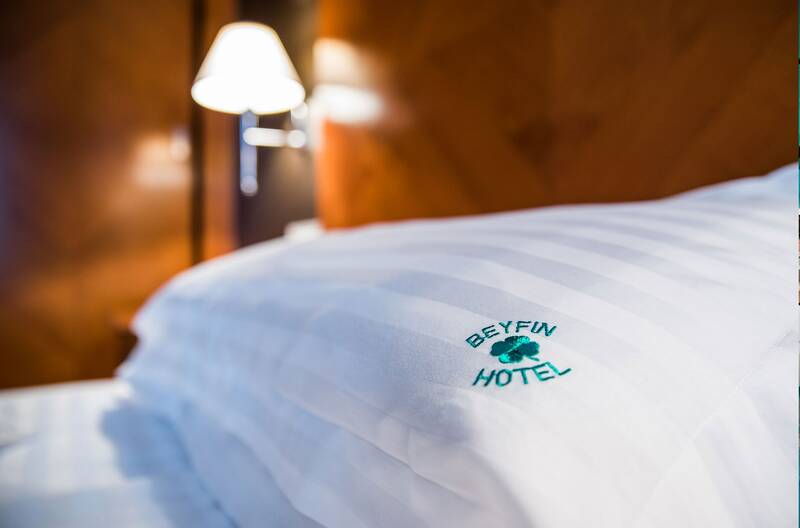 Beyfin Romania, member of Beyfin Group - the Italian company that since 1950's works with LPG distribution and owns more than 120 service stations in Italy and is a member of the Beyfin Holding - has been appointed to manage the four-star luxury hotel in Cluj-Napoca. Beyfin has chosen Magniflex to give more value to rest. Choose the comfort you prefer and customize your room, so that you can live a memorable resting experience. The Conference Room is a popular venue choice for elegant corporate meetings and presentations for up to 90 guests at the Beyfin Hotel in Cluj. It is outfitted with the latest, high-top quality audiovisual equipment, picture screens, overhead video and slide-projectors, advances audio and microphone system. The dining areas here at Hotel Beyfin are not just elegant spaces for having delicious meals, but also encapsulate the best of European luxury, while keeping close the essence and spirit of Cluj-Napoca, so you can feel like home, but get a taste of the local ambience at the same time.